5RB chambers hosted its 12th annual charity pub quiz last week, to raise funds for Advocate and the Free Representation Unit. The Solicitor General, Oliver Heald QC MP, remembers his time at FRU. I was a member of FRU in 1977 and 1978. In those days it had an office on the First Floor of Middle Temple Lane and was a fairly small group of friends committed to helping people in need of legal advice and representation in tribunals. We were lucky to have strong support from Bar Council representative John Griffiths QC and our excellent Chairman Rick Clayton, now Richard Clayton QC, the present UK representative on the Venice Commission. It had started a few years earlier in 1972 and when I joined a part-time administrator had been there a short while. Janet Beech was enthusiastic and good in a crisis. Later in my time she was replaced by Sue Watkins, who was also very important to FRU’s development. The organisation had always been run by a small committee and there was great idealism and a strong feeling that it should retain its independent ethos. The weekly committee round-ups in the Three Tuns pub on Chancery Lane added to the sense of camaraderie, although sadly the pub is long-gone. As well as student and pupil barristers, we had graduate students from the LSE and that’s how I met my wife Christine. She had a background in social policy and would take on cases in the Supplementary Benefit Appeal Tribunal. We got to know each other at the weekly meetings in the Three Tuns, where I was often ribbed by the others for my Conservative views and my diary with a picture of Mrs Thatcher. Christine took pity on me and a FRU romance led to a long and happy marriage. Original FRU members such as Roger Burbidge continued to take an interest and on the Committee I remember Jan Luba (who did training), Sue Gorman and Henry Blaxland. Other active members were Richard Drabble, Robert Latham and Claer Lloyd-Jones. Whilst many members went on to be eminent lawyers, Sue Gorman married Steve Dimond and moved to France and I believe Tania Ky went on to be a successful dancer. Many of my generation were also very sad that Andy Bantoft, who was an excellent member of the Committee, died tragically in South America. In the 1970s, there were many more applications for help than we could manage. FRU did a great deal to help those in need. It still does. When I promote Pro Bono, I always refer to the important forty-year FRU legacy. Oliver Heald, QC, MP is a barrister and Conservative politician. 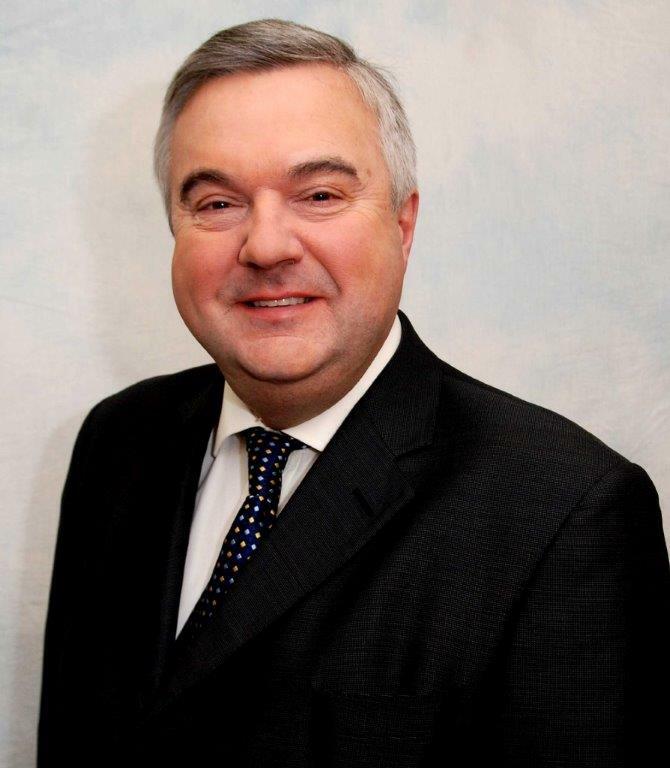 He is the Member of Parliament (MP) for North East Hertfordshire and has been Solicitor-General since 2012. 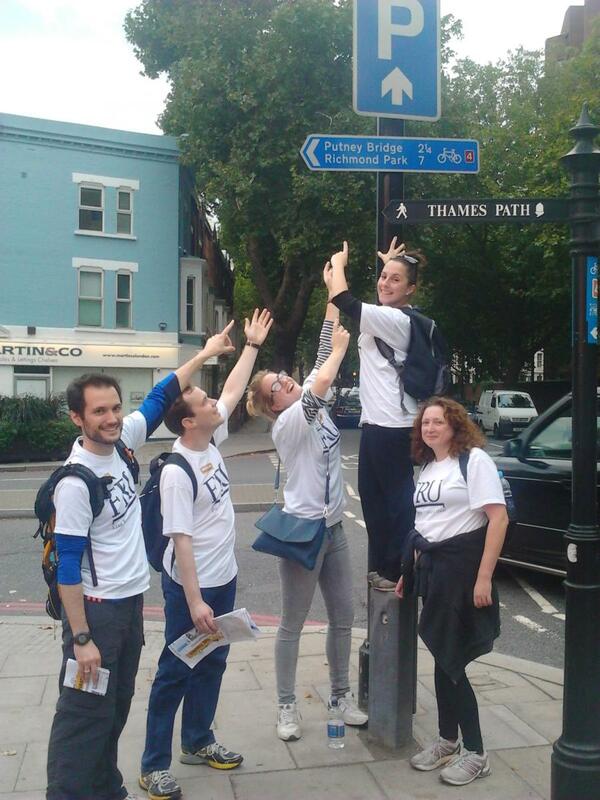 On the 5th and 6th October - a group of FRU volunteers joined the London Legal Support Trust's annual 'Walk the Thames' to raise money for FRU's new computers. The 2013 Walk the Thames took place in unusual warmth and sunshine and was led by Mr Justice Haddon-Cave who ran the whole 40 miles! Sixteen FRU volunteers walked the 40 mile journey along the Thames, pausing only for pictures and food breaks. FRU would like to give a big thank you to all those involved and all those who donated - we raised an amazing £1600 from the weekend! FRU Walkers: George Miller, Madeline Stanley, Cathy Rogan, Jumoke Adejimola, Fadeia Hossian, Sara Wyeth, Nick Bano, Nishma Jethwa, David Tisdall, Rebecca Bax, Martin Nelson, Konika Dhar, James Quelch, Loretta Lok, Lauren Graham and Ross Beaton. THANK YOU to Old Square Chambers - £5711 raised! 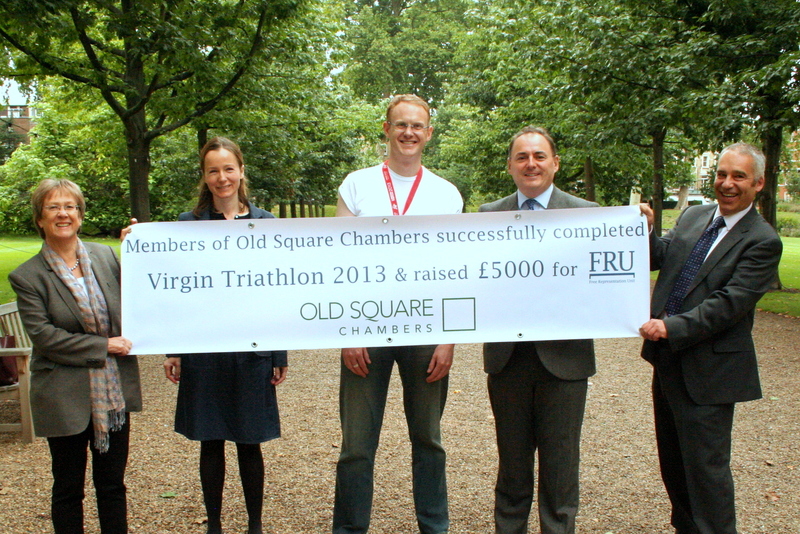 Six Teams by Old Square Chambers raised money for FRU by participating in the 2013 Virgin Active London Triathlon. • Team 2 (Michael Ford QC, Andrew, Andre Midgely and Ben Cooper) came 4th overall. • Team 6 (Simon Cheetham, Dan Schaffer and Ralph Robinson) came 9th overall. Solicitors taking part in the six teams came from, Berwin Leighton, Bircham Dyson Bell, Herbert Smith, Unison, Rahman Lowe, Rumm Law, TSols, Emm Law, Penningtons, and Fox Whitfield. If that was not enough, Andrew Midgely then jumped straight back in the water to compete in the individual event coming 165 out of a field of over 2000. FRU wants to say a big Thank You to all those who were involved. Want to “Walk the Thames” with FRU? FRU are looking for walkers to sign up to the annual “Walk the Thames” event to raise money for FRU’s new computers! We are asking people to join Management Committee members George Miller and Madeline Stanley in walking the Thames on 5th and 6th October 2013. This is a fun way to raise money, meet other legal professionals, see the riverside sites of London and get a FRU t-shirt! This years’ Walk the Thames will be led by Mr Justice Haddon-Cave. Walk the Thames is a two day event organised by the London Legal Trust which allows participants the opportunity to take part at a level which is suitable for them. Participants can choose to either walk or run over one or two days of this 40 mile winter walk (20 miles per day). - Day One sees walkers travel from Clifford Chance's offices in Canary Wharf to Putney. - Day Two has a route from Russell Cooke's offices in Putney to Hampton Court. Want to join us? Email Rebecca for more details. If you don’t have the time to walk – then please consider donating! In 2012 FRU raised £1,230.00 from the walk – we want to beat this total in 2013! We would like to thank everyone who made a donation to our appeal. Thanks to your help, we were able to raise sufficient funds to replace our computers. The new computers have been installed and have already made a great difference, helping our volunteers to do their excellent work. We are grateful for your generosity and appreciate your help, which has made such an impact on the vital work we do. © 2009 Free Representation Unit.